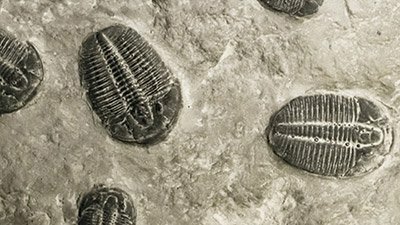 Do fossils require millions of years to form? Hardly! Even secular geologists now recognize that rocks form very quickly. 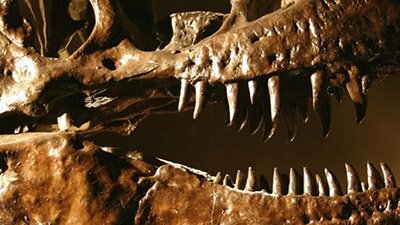 Each visitor to Dinosaur National Monument sees the same evidence—massive amounts of dinosaur (and other) fossils all jumbled together. How one explains the formation of this fossil bed depends on one’s worldview. 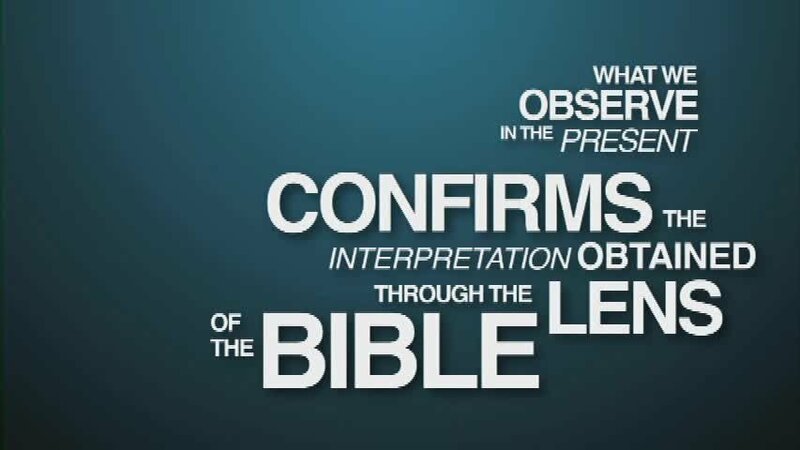 When viewed from a biblical perspective, the evidence is consistent with what one would expect from a worldwide Flood. This research reminds us of the caution we should accord to every fossil reconstruction. Especially when it comes to supposed “ape-men” like Lucy, Ardi, and others, we must be aware of the fact that evolutionary ideas may be (consciously or subconsciously) guiding the reconstruction. We can never answer all the questions. 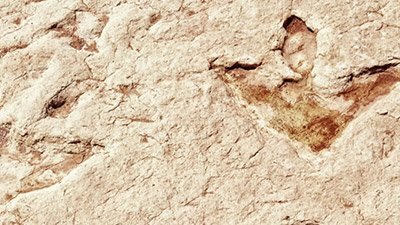 But with practice at “fossil sleuthing” from a biblical perspective, at least we can get better and better at evaluating each new discovery in a God-honoring way that might yield new insights into God’s person and work. The fossil record, billions of dead things buried in rock layers laid down by water all over the earth, is dramatic evidence of the historicity of Noah’s Flood. 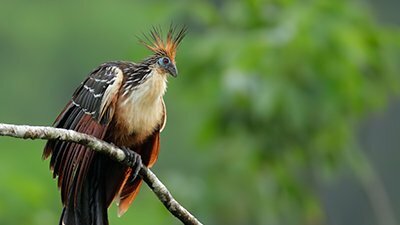 Living fossils, organisms previously known only through the fossil record and having no close living relatives, pose a grim threat to the evolutionary paradigm. 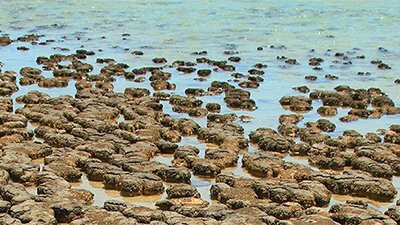 Evolution predicts a fossil record bursting with transitional fossils. Curiously, there are only a handful of highly-disputed fossils that are claimed as such. The fossil record shows more biodiversity than our current ecosystems. This incredible diversity clearly demonstrates the handiwork of the Creator! 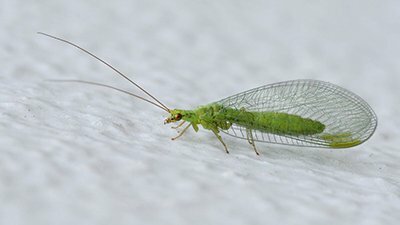 Two amber fossil finds have revealed some interesting examples of similarities between fossil and extant forms, both in morphology and in lifestyle/behavior. Ichthyosaurus is well studied, and research on their skeletons has provided evidence for incredible design and the global flood. Fossils act as a record preserved to teach us about the earth’s past, to confirm Scripture, and to glorify God. They can be found everywhere from the bottom of canyons to mountain peaks and maybe even in your back yard. Was Our Oldest Itty-Bitty Ancestor All Mouth? Saccorhytus is, the authors believe, the oldest and simplest known deuterostome, the evolutionary forebear of all vertebrates and some invertebrates. Beautifully preserved fossils are so common that we overlook how unusual they are. 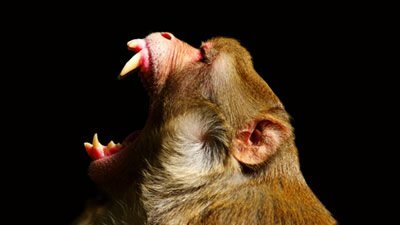 Animals can show up in the oddest places and make evolutionists scratch their heads as is the case with the newly discovered monkey fossils. Can changes from molecules-to-man (macroevolution) be explained by (extrapolated from) the process of mutation-selection (microevolution)? Thus this fossil-bearing sedimentary rock sequence on Spitsbergen is better understood from the biblical perspective of the eyewitness account in Genesis. 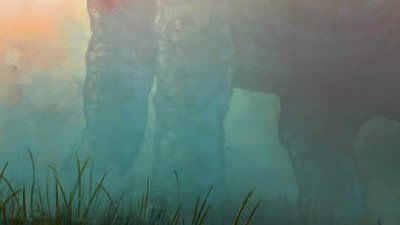 The fossil of a creature resembling a groundhog that lived during the time of dinosaurs has become an anomaly for evolutionists. Cartorhynchus lenticarpus, whose discovery was hailed last November, is being hailed as an evolutionary link, but this characterization is premature. 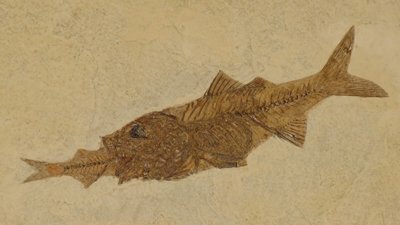 Will Fish Fossil Change Evolutionary Tree? Did jawed vertebrates start out with bones or not? Evolutionists want to know. China’s Jurassic fossils get a new name. 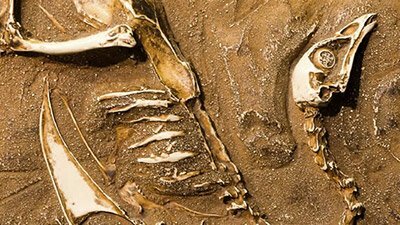 Three-dimensional images of fossil will force evolutionists to revise their terrestrial story, but not much. Evolutionary researchers claim to have pinpointed the origin of intelligence. Ask the average layperson how he or she knows that the earth is millions or billions of years old, and that person will probably mention the dinosaurs. Dry Dredger’s local fossil stumps experts. Orphan eggs in Cretaceous Spain offer ambiguous clues to their missing parents. 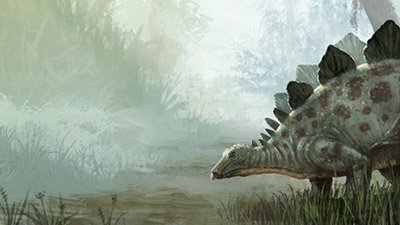 Which Version of History Do Fossils Reflect? 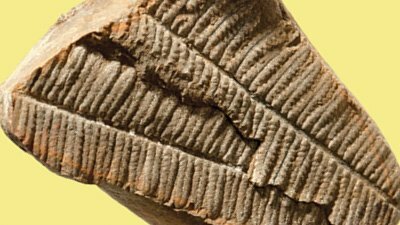 Fossil diversity “accurately reflects history”—but which version of history? Another big mouth beast becomes an honorary member of the baleen club. Algae to bones . . . what’s the difference? 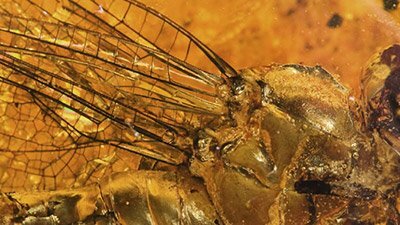 We’ve all seen photographs of insects, arachnids, and other small creatures trapped in amber. But a lizard? Last week it was the oldest remains of the earth. This week, it’s the oldest remains of animals. 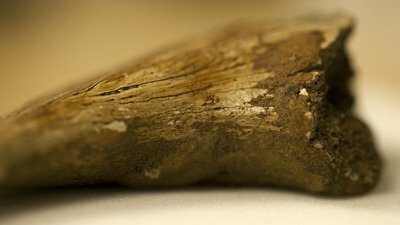 Reassembling half-billion-year-old fossils from bone fragments: a task so complicated that only computers can handle it? Fossilized soft tissue has been found in a salamander fossil said to be 18 million years old. Scientists cannot only write about amazing fossil discoveries; now, they can write with one! Dinosaur National Monument houses one of the largest on-location dinosaur fossil displays in the entire world. 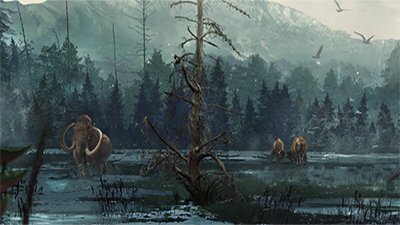 The fossil record is more like a record of the effects of sin when the Flood demolished the vast majority of life on earth, creating massive fossil graveyards. “We knew it was a great find,” said paleontologist Leonard Brand about the fossil whales he saw in Peru in 1999, 350 km (200 miles) south of Lima, the capital. 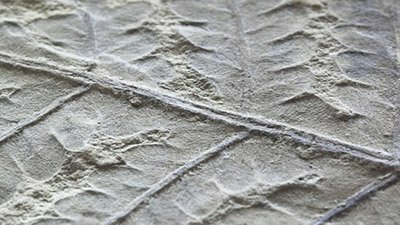 A farmer digging a snowmobile course accidentally unearthed one of the most remarkably-preserved plant fossil localities in the world. 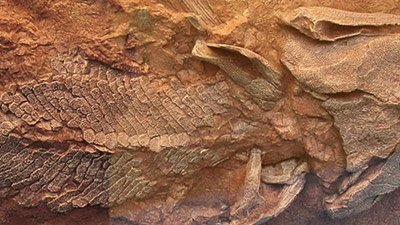 Uniformitarian models fail to explain the remarkably well-preserved fish fossils in the Green River Formation, Wyoming, USA. There is an exquisitely preserved fossil of an extinct marine reptile called an ichthyosaur. The mother ichthyosaur is shown having almost completed giving birth to a live infant. Some of the most devastating attacks on evolution by creationists have been associated with the fossil record. How could “the greatest promoter of creationism in Alberta,” Edgar Nernberg, be the discoverer of some of the most significant fish fossils in recent history? Can an organism survive billions of years of evolution without evolving?